Book It! A Literary Celebration. With the imminent publication of my debut collection of short fiction (I am currently reading through the first proof), 2014 was already going to be a milestone year for me. Now, as well as being the year my first book is published it will also be the year I attended my first literary festival as a writer. The Oxted Literary Festival, called Book It! 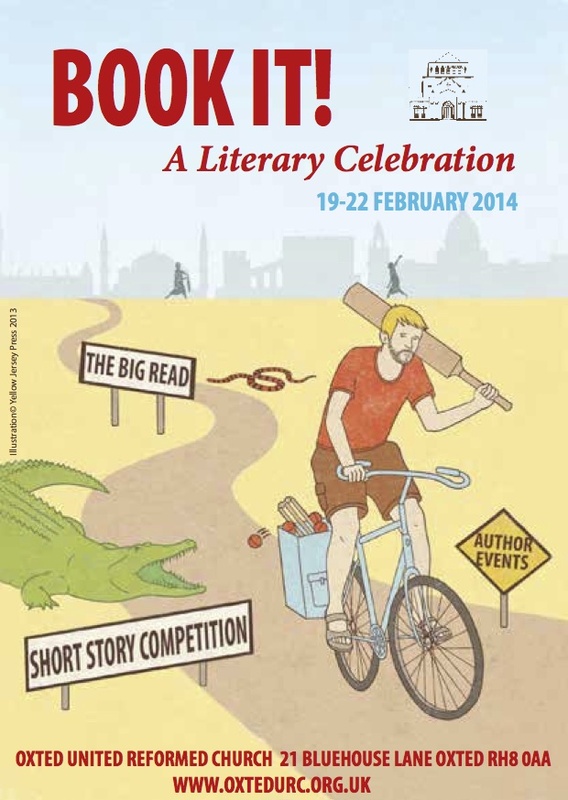 A Literary Celebration, will run between the 19th & 22 February with a load of great events taking place. As well as a ‘Big Read’ event with Sathnam Sanghera, an afternoon tea with Vanessa Gebbie, and an evening with Oli Broom discussing his cricketing travelogue Cycling to the Ashes, there will be a Short Story Panel chaired by Alison MacLeod with panellists Jane Gardam, Tom Vowler and Dan Powell. I’ll also be leading a Flash Fiction Workshop. The Flash Fiction Writing Workshop takes place on Friday 21st Feb from 2pm and The Short Story Discussion Panel, also on the 21st, starts with complimentary drinks from 7pm before the panel kicks off about 7.30pm. I am thrilled to have been asked to attend and am looking forward to the events I am participating in and meeting the other writers. My brilliant publishers Salt, are even making sure that copies of Looking Out of Broken Windows will be available during the festival. It’s all very exciting.